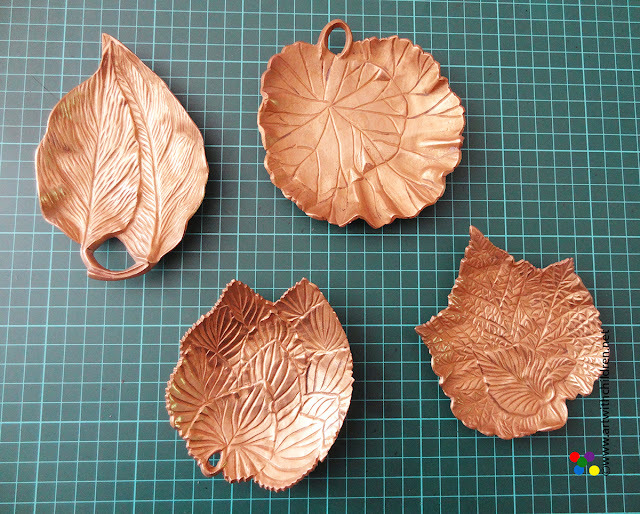 Looking through my leaf souvenirs forged in brass or made of brass,it just struck me to use some of my brass leaves for our autumn leaves activity. 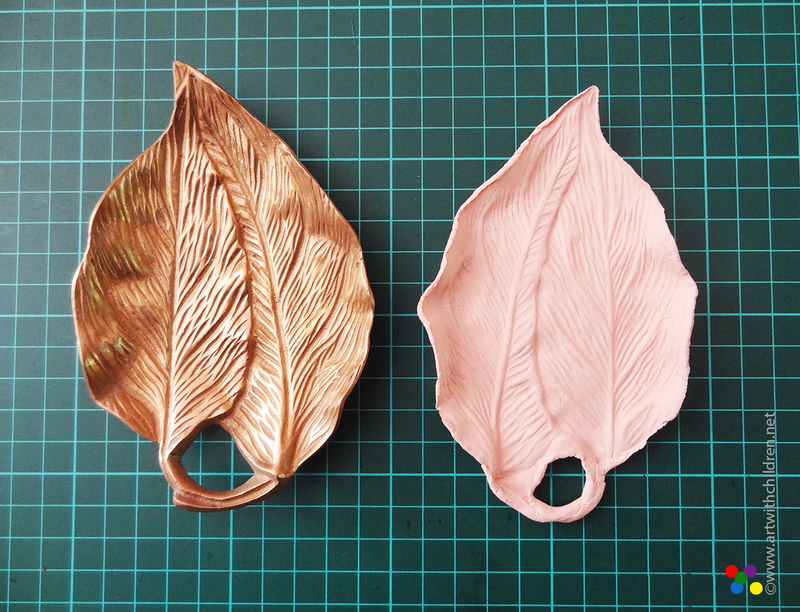 These brass leaves had interesting details and worked well as nice molds for our leaves. 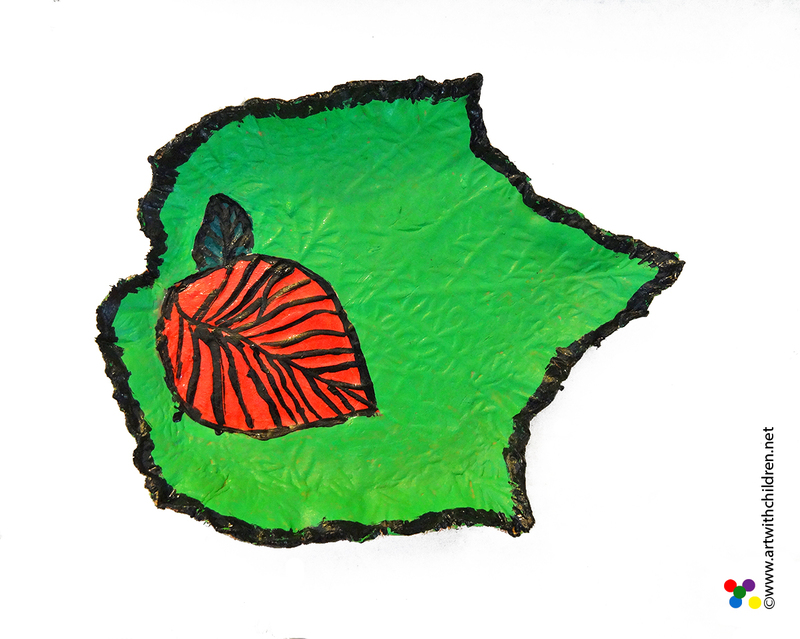 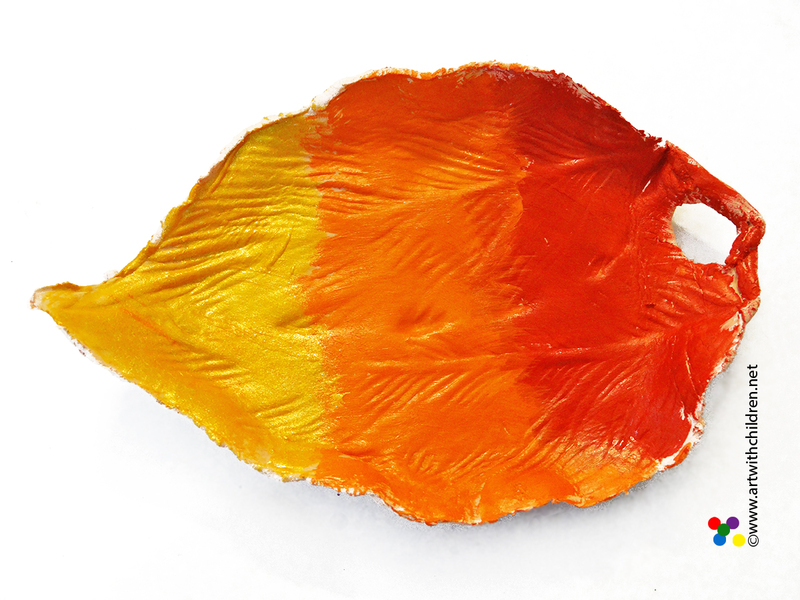 Supplies: Plastic or metallic leaves with embossed / engraved details, Peach or white air dry clay and acrylic paints in various colours. 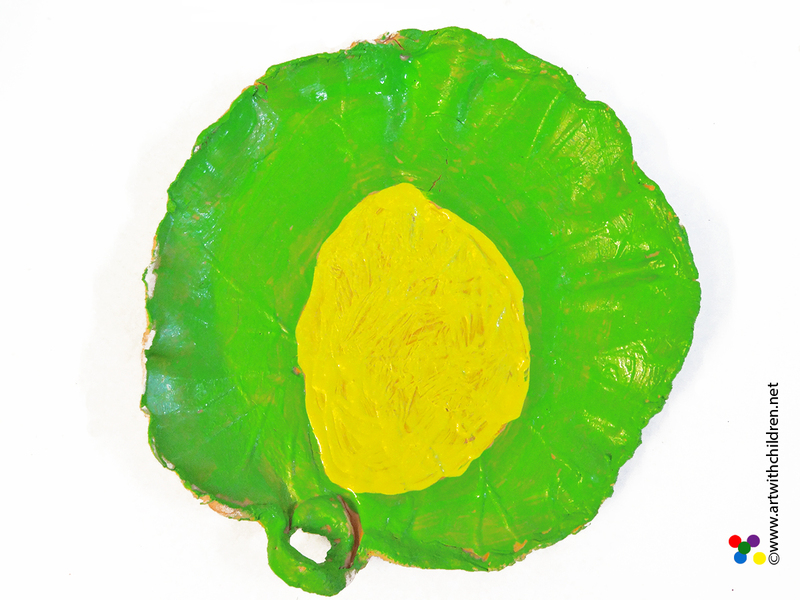 We used a rolling pin to flatten the clay to a 3mm thick almost oval shaped sheets to fit the leaf. 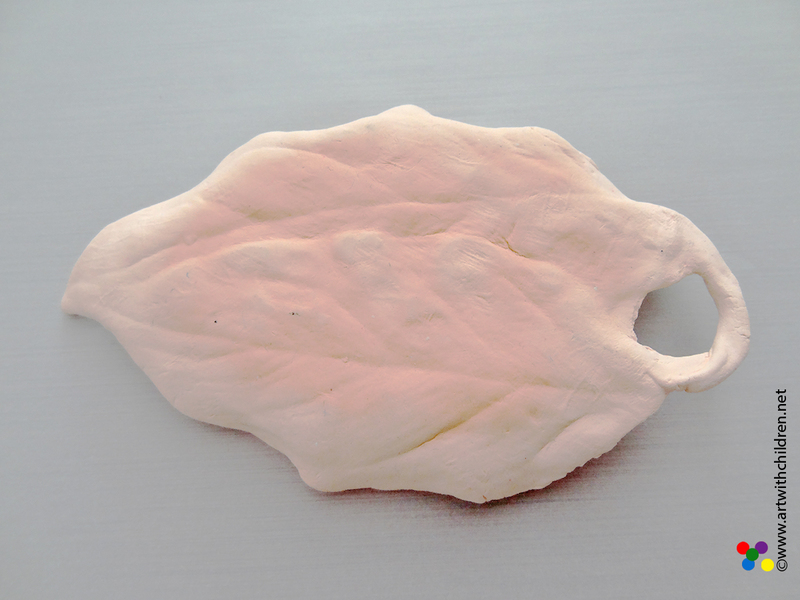 The clay sheet was placed on the mold and pressed gently. The extra clay on the edges was removed carefully and then the leaf as well. Now the details were on the underside of the clay leaf shape. 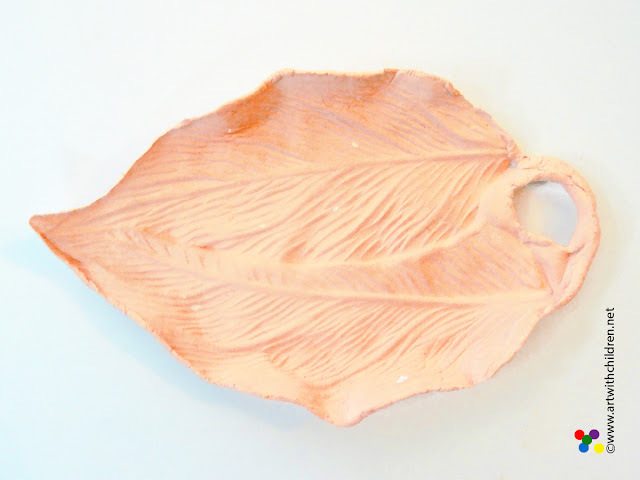 While the clay was still wet we created the wavy leaf effect keeping the leaf shape intact. We made a lovely mirror replica of our brass leaf! Here is the underside of our clay leaf as shown below. 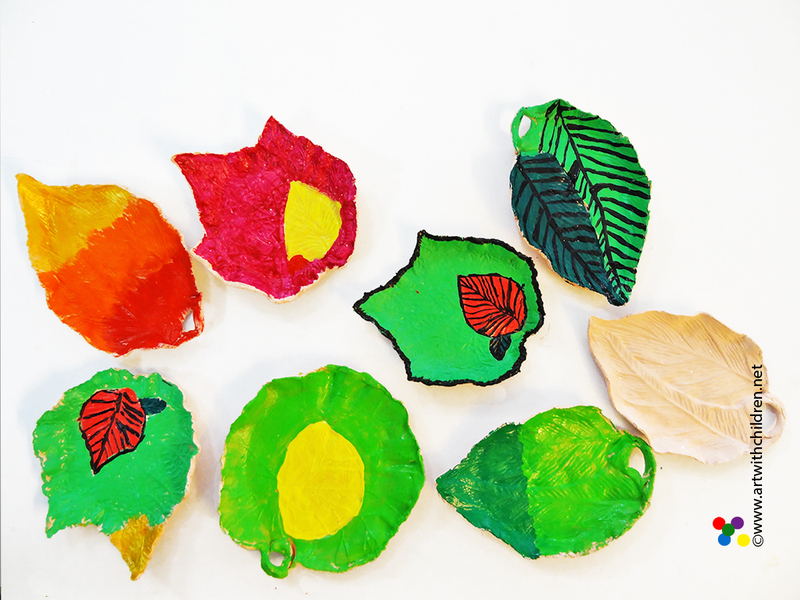 We could not wait for them to dry! Soon they were painted in lovely colours and patterns. 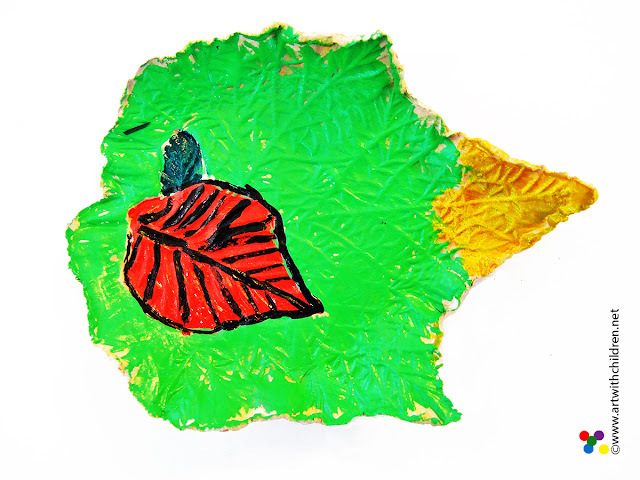 I love the idea of painting those little leaves and the contrasting colours to enhance the effect! 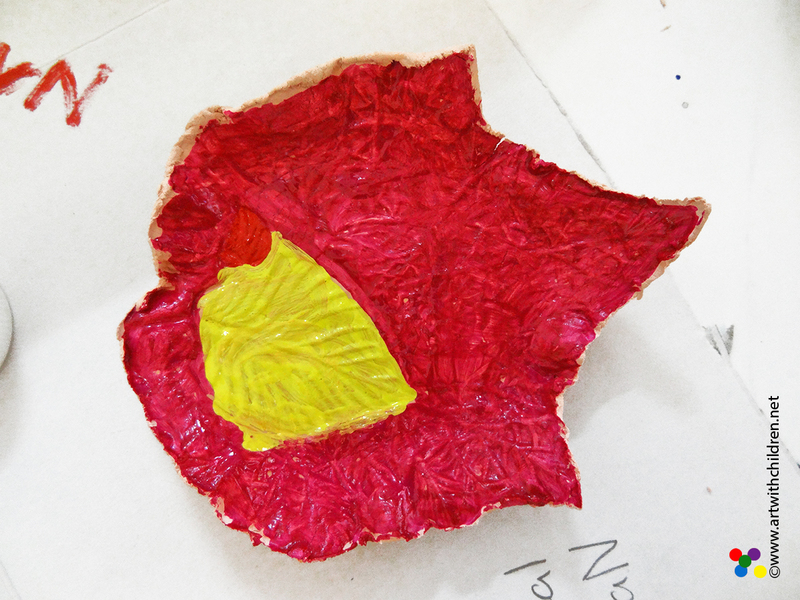 So this was again a beautiful experience and a happy clay class we had.